The World Health Organization published new data today that it says “reveals wide differences in consumption of antibiotics in different countries,” suggesting overuse and misuse of these life-saving medicines, which contributes to antibiotic resistance. 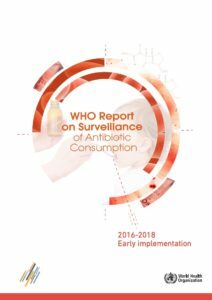 The data is detailed in the “WHO Report on Surveillance of Antibiotic Consumption: 2016 – 2018 Early implementation,” released today. Further background is available here. The report presents “data on the consumption of systemic antibiotics from 65 countries and areas,” reports on the “early efforts of the World Health Organization (WHO) and participating countries to monitor antimicrobial consumption, describes the WHO global methodology for data collection, and highlights the challenges and future steps in monitoring antimicrobial consumption,” according to the report. “The report finds wide discrepancies in consumption rates between countries, ranging from approximately 4 defined daily doses (DDD)/1000 inhabitants per day to more than 64 DDD. The large difference in antibiotic use worldwide indicates that some countries are probably overusing antibiotics while other countries may not have sufficient access to these life-saving medicines,” according to a press release. “Overuse and misuse of antibiotics are the leading causes of antimicrobial resistance. Without effective antibiotics and other antimicrobials, we will lose our ability to treat common infections like pneumonia,” Suzanne Hill, director of the WHO Department of Essential Medicines and Health Products, said in the release. “Findings from this report confirm the need to take urgent action, such as enforcing prescription-only policies, to reduce unnecessary use of antibiotics,” she said. The report released coincides with World Antibiotic Awareness Week (12-18 November), “a global campaign that aims to increase awareness of antibiotic resistance and to encourage best practices among the general public, health workers and policy makers to avoid the further emergence and spread of antibiotic resistance,” according to the release.